Chemical Formulas Periodic Table What is Carbon as on the Periodic Table? Carbon is a solid. It is a naturally abundant dark grey to black non-metallic element that occurs in many inorganic and in all organic compounds, exists freely as Graphite and Diamond and as a constituent of coal, limestone, and petroleum, and is capable of chemical self-bonding to form an enormous number of chemically, biologically, and commercially important molecules. Diamonds are one of the hardest (substances known to man. At high temperatures it binds with Oxygen to form carbon monoxide or dioxide. Refer to Carbon Reaction for its reaction to Water, Oxygen & Acids. Coal, soot, and diamonds are all nearly pure forms of carbon. The Atomic Number of this element is 6 and the Element Symbol is C.
The name originates from the Latin word 'carbo' meaning "charcoal". 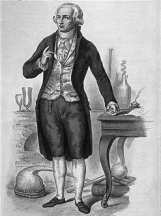 The French chemist, Antoine-Laurent de Lavoisier wrote a book outlining a method for naming chemical substances. The name he used for the element was carbone, based on the earlier Latin term for charcoal, carbo. Elements can be classified based on their physical states (States of Matter) e.g. gas, solid or liquid. This element is a solid. Carbon is classified as an element in the 'non-metals' section which can be located in groups 14,15 and 16 of the Periodic Table. Non-metallic elements exist, at room temperature, in two of the three states of matter: gases (Oxygen, Hydrogen & Nitrogen) and solids (Carbon, Phosphorus, Sulfur and Selenium). For additional facts and information refer to Carbon Properties. Carbon was discovered and was known as soot and charcoal in Ancient times. 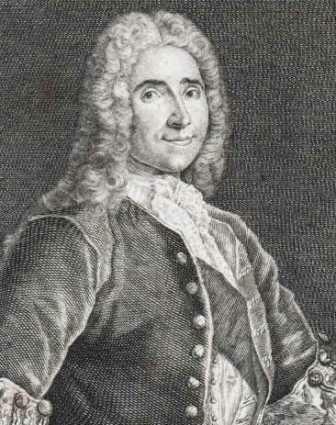 French physicist René Antoine Ferchault Reaumur (1683-1757) investigated the differences between iron and steel, correctly showing that the amount of carbon is greatest in cast iron, less in steel, and least in wrought iron. His book on this subject and his belief that carbon might be an element was published in 1722. In 1787, Antoine-Laurent de Lavoisier and three other French chemists wrote a book outlining a method for naming chemical substances. The name they used for the element was carbone, based on the earlier Latin term for charcoal, carbo. Carbon is found in nature in the uncombined state in several forms. The diamond is practically pure carbon, while graphite and coal are largely carbon, but contain small amounts of other substances. Its natural compounds are exceedingly numerous and occur as gases, liquids, and solids. Carbon dioxide is its most familiar gaseous compound. Natural gas and petroleum are largely compounds of carbon with Hydrogen. The carbonates, especially Calcium carbonate, constitute great strata of rocks, and are found in almost every locality. All living organisms, both plant and animal, contain a large percentage of this element, and the number of its compounds which go to make up all the vast variety of animate nature is almost limitless. Over one hundred thousand definite compounds containing carbon have been prepared. In the free state carbon occurs in three allotropic forms, two of which are crystalline and one amorphous. Interesting information is contained in the following table of Medical Uses of Carbon, Health and Treatments. Respiratory acidosis Impaired lung function. A useful reference providing information regarding the medical uses of Carbon, associated health issues and disorders and treatments using carbon. Check out Carbon on the Periodic Table which arranges each chemical element according to its atomic number, as based on the Periodic Law, so that chemical elements with similar properties are in the same column. Our Periodic Table is simple to use - just click on the symbol for Carbon as on the Periodic Table for additional information and for an instant comparison of the Atomic Weight, Melting Point, Boiling Point and Mass - G/cc with any other element. An invaluable source of facts and information as a Chemistry reference guide. The Standardised Periodic Table in use today was agreed by the International Union of Pure Applied Chemistry, IUPAC, in 1985 and now recognises more periods and elements than Dimitri Mendeleev knew in his day in his day but still all fitting into his concept of the "Periodic Table" in which Carbon is just one element that can be found. These articles contain facts and information relating to Carbon and each of the other elements including the Periodic Symbol, group, classification, properties and atomic number which is often referred to as the Periodic Table Number. Test your knowledge of chemistry and the Periodic Table by completing the Element Symbols and Atomic Numbers on our Blank Periodic Table. Chemistry students will also find a helpful section on Chemical Formulas.